US President Barack Obama supposedly ‘cleared the air’ with Saudi King Salman before the latest meeting of the Gulf Cooperation Council in Riyadh, Saudi Arabia’s capital. Given how strained the bilateral relationship  is—a situation long in the making—that was probably the best outcome that could reasonably be expected. But it is not enough. America’s relationship with Saudi Arabia is based on a pragmatic give-and-take approach aimed at advancing mutual interests, the most important of which is maintaining relative peace and security in a volatile region that is vital to the global economy. But this approach is fast becoming passé. Indeed, we have entered a new age of ideology, in which the case for pragmatism, rather than shared values, is increasingly difficult to make. Against this background, it should perhaps not be surprising that cracks in the bilateral relationship have begun to show. In a recent interview , Obama described the Saudis (as well as other US allies) as ‘free riders’ on American foreign policy. That sparked discussion not only about whether it is true (the Saudis purchase huge amounts of military hardware from the US), but also about whether it should have been said out loud. After all, in politics as in life, not everything a person believes needs to be shared publicly. Overall, however, US officials remain meek in discussing Saudi Arabia. When they acknowledge ‘differences’ with Saudi Arabia concerning how and where to fight terrorism, they sound like they are describing a disagreement between Roosevelt and Churchill about where precisely the Allies should strike Nazi Germany. In fact, the differences are huge, and many are rooted in the Kingdom’s internal attitudes and policies. Consider, for example, Saudi Arabia’s approach to the Islamic State (ISIS) and, more broadly, to Sunni radicalism throughout the Arab world. It is often alleged that the Saudis export terrorism. They don’t. But what they have done is encourage their own radicals—a natural byproduct of Wahhabism, Saudi Arabia’s fundamentalist brand of Islam—to commit their terrorist acts elsewhere. 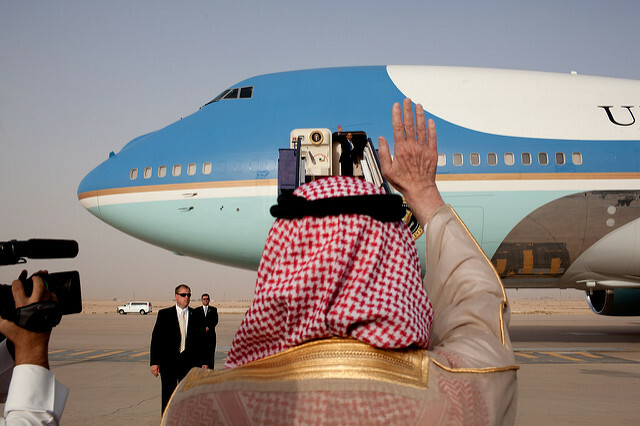 As the radicals leave, so does Saudi money, which funds their violent activities. During President George W. Bush’s administration, the US worked with the Saudis to track financial flows to radical groups and thus weaken such groups’ operations throughout the region, including in western Iraq. Their efforts brought some results. In fact, instead of congratulating itself for the supposed success of the US troop surge in Iraq in 2007, perhaps the Bush administration should have been touting the impact of that funding-focused initiative. Unfortunately, the effort to interdict financial flows from Saudi Arabia weakened substantially after 2011, when parts of North Africa and the Middle East became engulfed in the so-called Arab Spring (a moniker that surely will be replaced with something both less cheerful and more accurate). The chaos that ensued fueled the spread of radical Sunnism—a trend to which Saudi inattentiveness surely contributed. And Saudi Arabia is unlikely to start paying attention now, when it is facing a perfect storm of problems, beginning with rock-bottom oil prices. Then there is conflict over the royal succession process, with King Salman’s effort to consolidate power in the hands of his aggressive and talented but not particularly popular 30-year-old son causing considerable upset within the extended royal family. Iraq poses another problem for the Kingdom, as it sets an example of Shia consolidating political power. That example, the Saudis fear, could sustain political unrest in the Kingdom’s Shia-majority Eastern Province, where most of the country’s oil production is based. If Iraq’s government deepens ties with Iran, the risk to stability could be heightened further. For Saudi Arabia, these challenges are a higher priority than defeating ISIS, which accounts for the country’s virtual disappearance from the fight. Indeed, while many Saudis (not necessarily the elites) view ISIS as a barbaric movement with the potential eventually to harm their own country, they are willing, for the time being, to allow ISIS to continue its violent campaign. After all, for all the horrors seen in Paris, Brussels, and San Bernardino, the victims of ISIS have been, by and large, Shia. Now that the US has ‘cleared the air’ with the Saudis, the real work must begin. That means engaging in an honest conversation about the bilateral relationship, based on some acknowledgment of Wahhabism’s central role in the rise of Sunni radicalism throughout the region. Saudi Arabia can no longer be allowed to shift the blame—for example, to Iraq’s Shia-led government, for failing to reach out to the Sunni community. It is the responsibility of all Saudis—and not just the royal family—to work harder to tamp down radicalism within their country’s borders and beyond. Christopher R. Hill is the former US Assistant Secretary of State for East Asia and is currently the Dean of the Korbel School of International Studies, University of Denver. He is the author of Outpost: Life on the Frontiers of American Diplomacy. This article is presented in partnership with Project Syndicate © 2016.